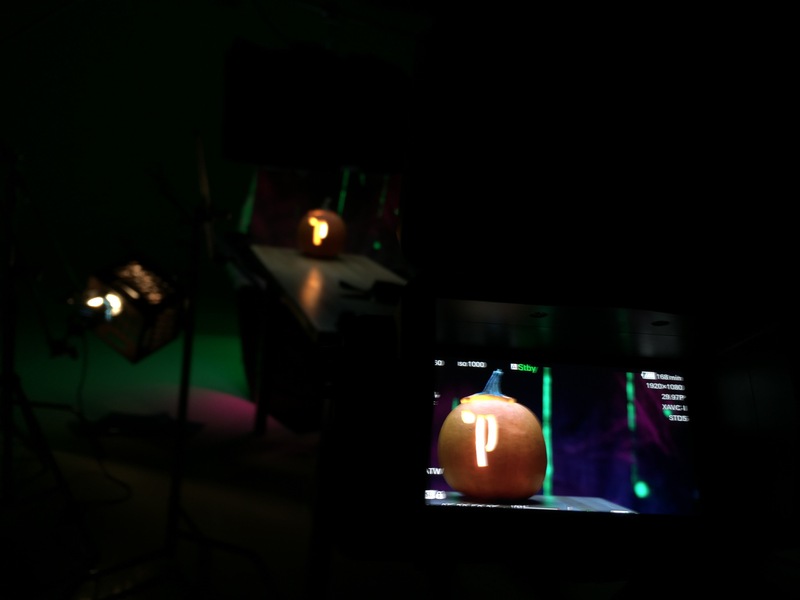 Here are some behind the scenes photos of our Halloween social media video shoot in the Plum Media production studio. You can view the final video at the end of the post. 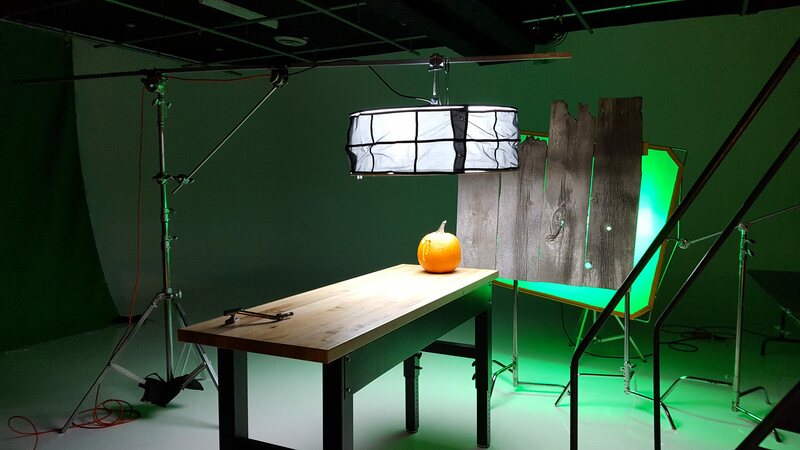 The bones of the set design for our pumpkin. 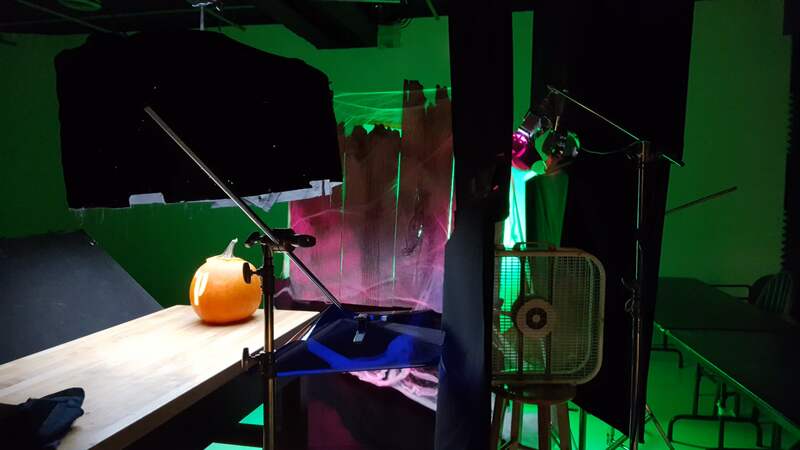 Cobwebs were added to the background, lights to accent them, and fan to make the cobwebs move. 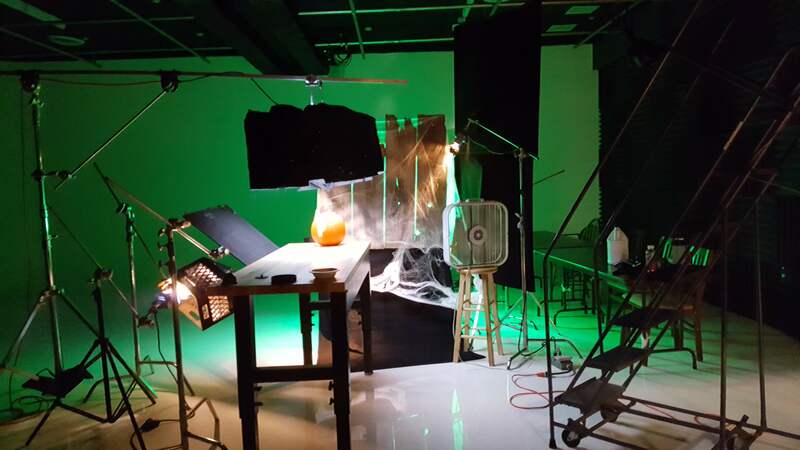 Added color gels to the lights. Set up a wall to help direct the fan so it wouldn't effect where the fog went. 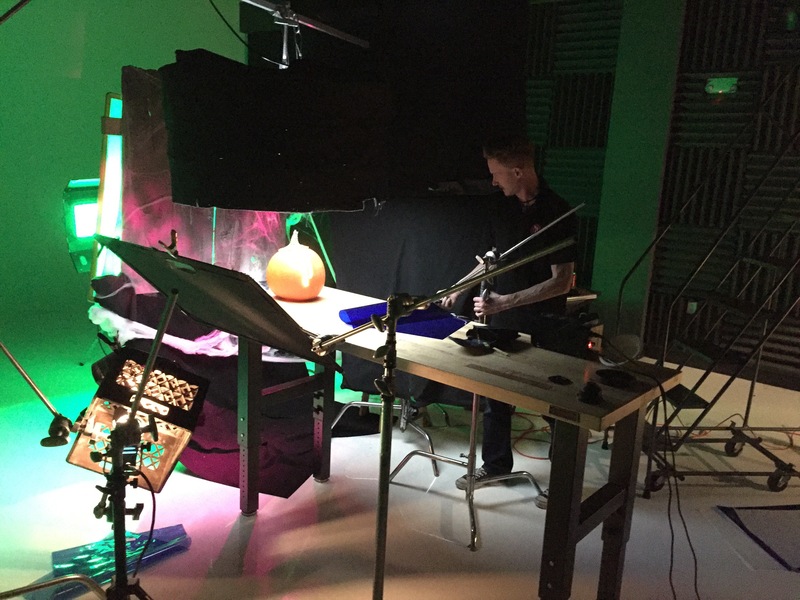 Once filming was done, it was off to the editing bay for the final touches. 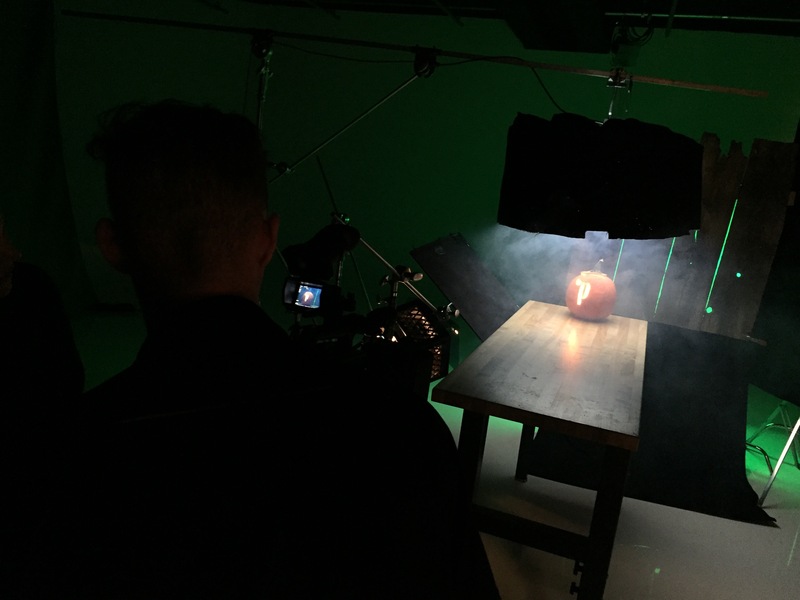 Special effects made the light in the pumpkin flicker. Music, sound effects and text were also added.